Taana Baana is local brand leader in Pakistan. It was started in year 2006 in Lahore .It had awarded with best business in Pakistan. They includes high fashion smart clothing that can be customized on the customer choice and trendy wants. Their products includes Gul Ahmad (a well-known textile company), Sarah Safinaaz, Al Karam, Breeze, Maumsumry casual, semi-formal, formal wear bridal wear, Arabian Caftans, night wear. 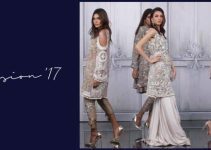 Bridal Collection ,Taana Baana party collection ,Clifton lawn, double infinity ,Indian collection ,tunic collection ,handmade collection ,pulsars panel frocks etc. Taana Baana offers Casual, Formal, Bridal Dresses for Girls and sari. They are producing all types of stuffs for casual wearing in all seasons ,party wear and even the bridal wear .Their latest collection was of the printed lawn and embroidered suits that were well appreciated .These includes the bright color, embroidered combinations and exclusives. While Embroidered Suit Collection is included in their collection .This collection consists of simple shirts, a line, shirts, frocks, medium and long shirts with trousers, medium and long shirts with trousers and Churidar Pajamas. The stores are located in all big cities of Pakistan like Gujran Wala, Faisalabad, Lahore, Rawalpindi, Islamabad, Sialkot, Multan, Gujrat, Daska, and Sargodha. Taana Baana is latest collection of printed lawn .As it had already won the confidence of the customers now it is moving towards the trends. It is making its place in the world of style, Fashion and Glamor. Current year it launched its new collection named Taana Baana .This is high fashioned smart clothing that is suitable for gathering and parties. And they can be customized as well according to the taste and moral of the customer. This collection is aimed for retailer and whole sellers of casuals, formal wear, bridal wear and the elegant sari. They produced high quality garments that is recognized and appreciated internationally. Taana Baana draws a diverse pool of creative talents. 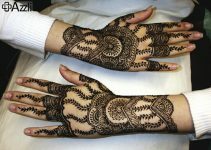 This ranges from hand weaving, graphic, designing, and painting. 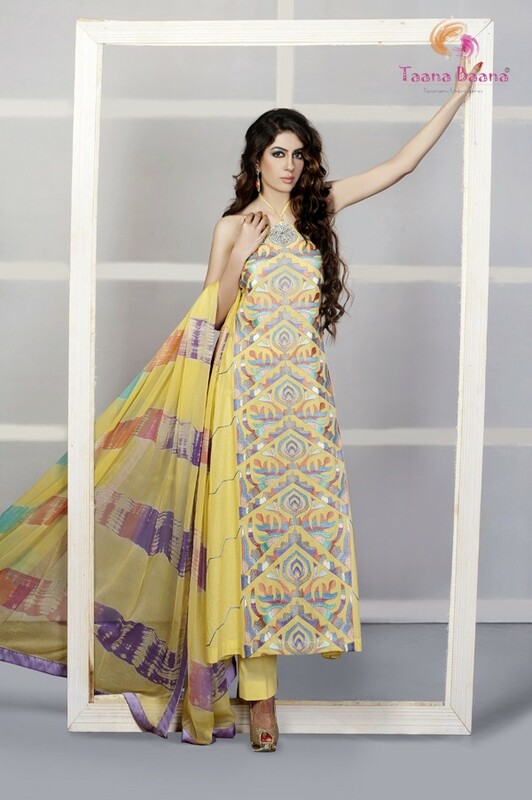 Taana Baana has its Summer Lawn Collection is as well that includes the embroider lawn .The long shirts frock style with trousers or pajamas as per the choice.
. As the market is saturated with the prints and embroidered clothes still has its own chance and preferences to got bought by the customer. Waiting for the prints now came to end and creative prints are in the market .This collection have amazing color combination, digital pattern and exclusive style. It had a wide variety of stuff. Simple lawn to cotton lawn, printed to embroidered suits, white and lighter shades are best to beach the scorching heat. This collection includes subtle and contemporary Dresses for Girls.